Albert is a seasoned PE executive with over $1Bn in trasactions. Prior to this he led consulting engagements across nine countries. Despite a recent slump in prices, oil and natural gas is expected to supply more than 50% of the world's energy needs up through 2040. Production spending between 2014–16 dropped by 29% to counteract the drop in oil price. Growing supply chain complexity is a source of cost and inefficiency for oil majors, as value chains are containing more and more interconnected third parties. According to the World Bank, digital transformation in the oil and gas industry could derive up to $2.5 trillion of value to stakeholders (including consumers) of the industry. Technology could be applied to make cost cutting more tactical and more towards efficiency saving, over just pure cutbacks. The traditional practice of vertical integration (M&A) between stakeholders in a value chain to bring efficiency is growing in popularity within the oil and gas industry. Revenue stream models could also be revitalized. A shift to performance-related contracts (over fixed prices) could align the interests of partners more effectively. Disruptive technologies that have transformed other industries can also be applied to the oil and gas industry. Bringing in a "digital oil and gas" mentality would catalyze the drive for efficiency. Advanced analytics, predictive maintenance techniques, wearables, 3D printing, and blockchain technology are some macro themes that would have use cases in the oil and gas fields. 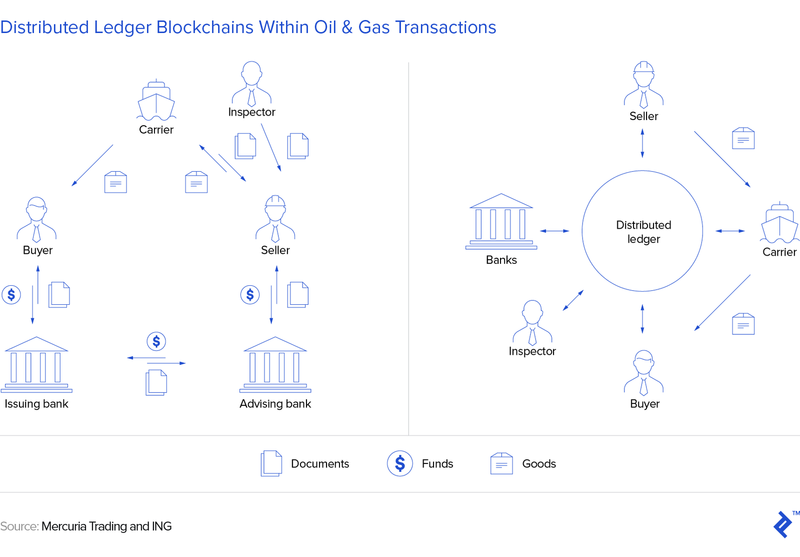 Partnerships and interdependence between stakeholders is also vital, as seen through oil trader Mercuria, who recently partnered with ING bank to implement pilots of blockchain protocols within transaction streams. The oil and gas industry has been always a story of boom and bust, but times might be changing. We are now entering an era of major social, technological, and political trends that could reshape the environment in which oil and gas companies operate. 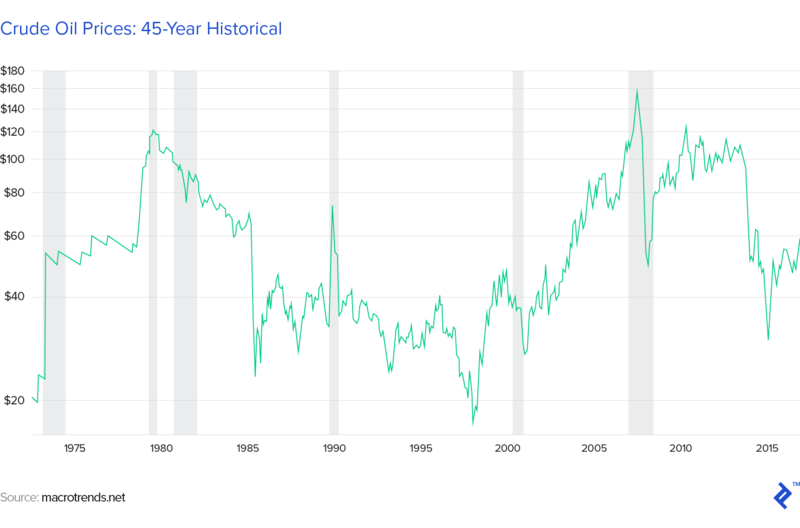 Optimism regarding resource abundance and profound technological innovations are leading to sustained lower oil prices and a focus on cost, efficiency, and speed. The mantra of “digital oil and gas” is leading to a culture of cost control, which is, in turn, providing more long-term security to an industry that previously had tended to blindly ride the waves and duck the dips. For the past three years, we have been in a price “dip” and with large macro themes such as electric vehicles and shale gas prevailing, there is no indication that high prices are again around the corner. 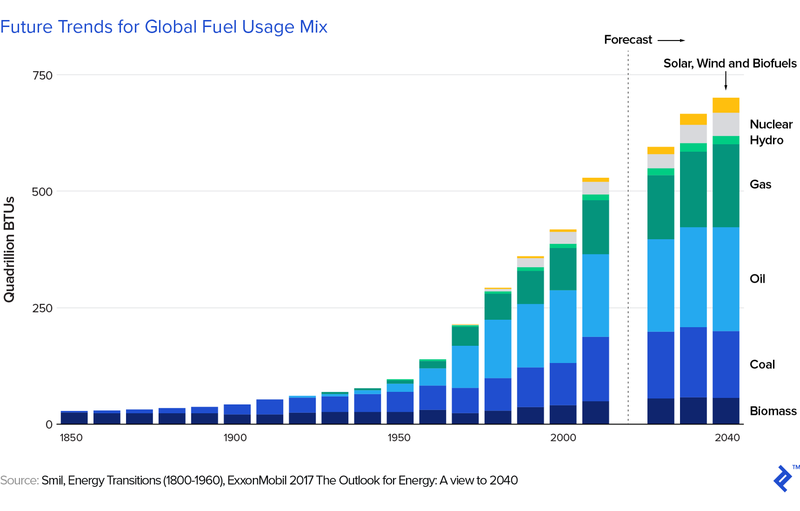 Will There Even Be Oil and Gas Demand in the Future? Strong economic growth means rising living stands. Around the world, the middle class is expected to more than double by 2035. This will drive an increase in energy consumption, as more people gain access to vehicles, better healthcare, and modern technologies. All economic energy sources are needed to meet this considerable demand growth, and oil and natural gas is expected to supply more than 50% of the world’s energy needs up through 2040. What Are the Current Challenges Faced by the Oil and Gas Industry? The first and most important challenge that oil majors are facing these days is growing supply chain complexity, with ever-growing network consolidation and restructuring combined with greater dependency on third parties across the value chain. The increasing cost of service is another major challenge. This is driven by rising supply chain costs due to operational inefficiencies, hybrid back-office operations, and other factors. Poor cross-functional and intra-company collaboration is a third key challenge. A lack of integrated supply chain planning and execution, limited flexibility for event- and exception-based planning and absence of real-time insights combine to complicate collaboration and decision-making. In a complex world, no-one can do everything. We have to trust our specialist partners. I call this collaborating for competitiveness. We’re all looking at how we can not only be competitive in the industry, but how we can be competitive as an industry and that means working together in ways that don’t always come naturally. This is a different tone to that set over the past two and a half years when operators, faced with depressed crude prices, cut back sharply on supply chain spending. 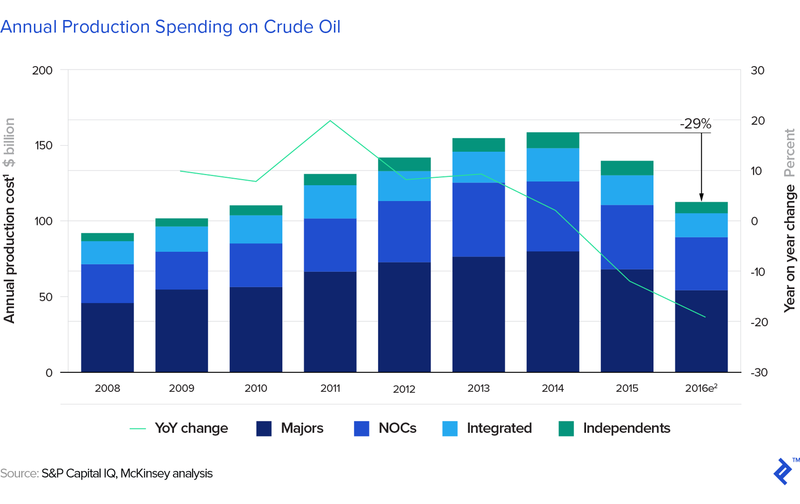 As oil prices have fallen from over $100/barrel to less than $35/barrel, before a recent recovery pushed them back up to $50/barrel, company spending has followed suit by decreasing 29%. Sustainable Cost cutting – In the past couple of years, operators focused at first on short-term cost-cutting initiatives (e.g., project postponements, staff reductions). The OFSE firms responded to this by scaling back on their own service and manufacturing footprints to cope with less activity. Now, in a more collaborative approach, operators and OFSEs are working together through means such as; optimizing operations, exploring supply-chain collaborations, and finding new revenue models. New Revenue Models – New revenue models have emerged in the industry, including performance-based contracts that combine equipment and services and participation in project finance. While this increases OFSE capital expenses and requires sophisticated financial capabilities, it does create a more stable income flow for OFSEs and allows them to give operators more flexibility. A landmark deal in this regard was the 2016 GE deal with the drilling company Diamond Offshore, in which GE would retain the ownership of eight blowout preventers and guarantee their performance. New Equipment and Service models – Sustained investment in new technologies is allowing some companies to capture new growth, especially investments in new digital technologies to achieve efficiencies, win business, and help develop new business and revenue models. Many OFSEs are redesigning equipment with more modular designs to drive out inefficiencies, resulting in 15–30% savings. Are Cost Cuts Sustainable in the Long Term? Savings from postponing activities are temporary. Savings from lower prices for goods and services are largely dependent upon oil price and market conditions. Eliminated demand and specification changes have the potential to be permanent and sustainable. As an overall framework on how to think about cost cuts, I have found the chart below from Energy Insights very helpful in many instances. It categorizes types of cost reductions by their percentage of cost program savings and degree of sustainability. As an example, let’s talk about offshore production that, despite the current pullback, is estimated to account for up to 40 or even 50 percent of new supply requirements in 2025. For this to be achievable, it is essential to improve deep-water competitiveness not only in the $50–70 per barrel world but also in a scenario in which <$50 per barrel prices persist. 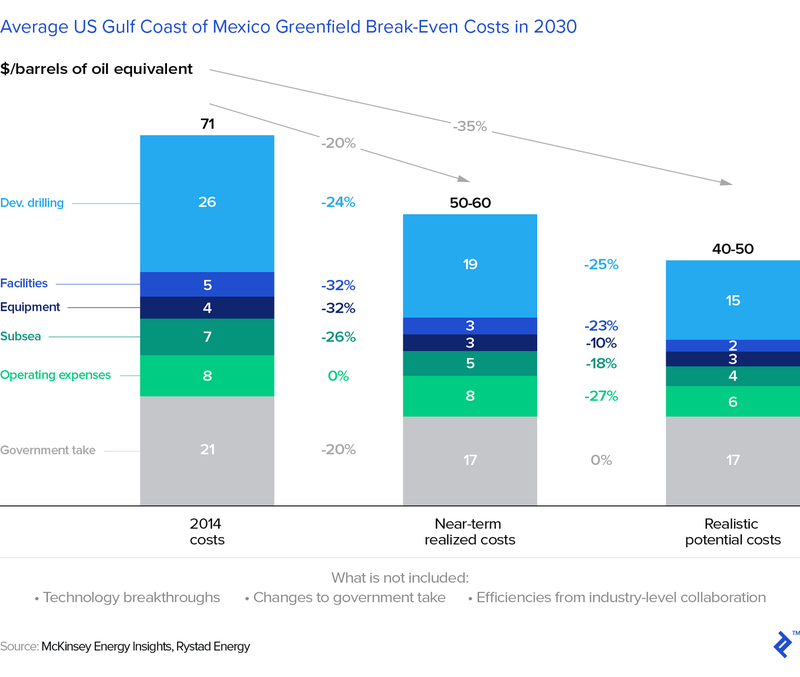 McKinsey developed a “realistic potential” (that is, assuming current best-in-class practices) break-even economics case for an average greenfield project in the Gulf of Mexico. It found that cost reductions through best-in-class practices, across a range of levers, could reduce costs to $40–50 per barrel, 30–40% lower than 2014 levels. One of the most effective themes to enhance project performance and reduce cost is early engagement with the engineering, procurement, and construction contractors. This allows the possibility to rationalize the overall field layout and to drive standardization, project development, and integration of technology. The earlier that this happens in the engagement, the bigger the savings and the value created. 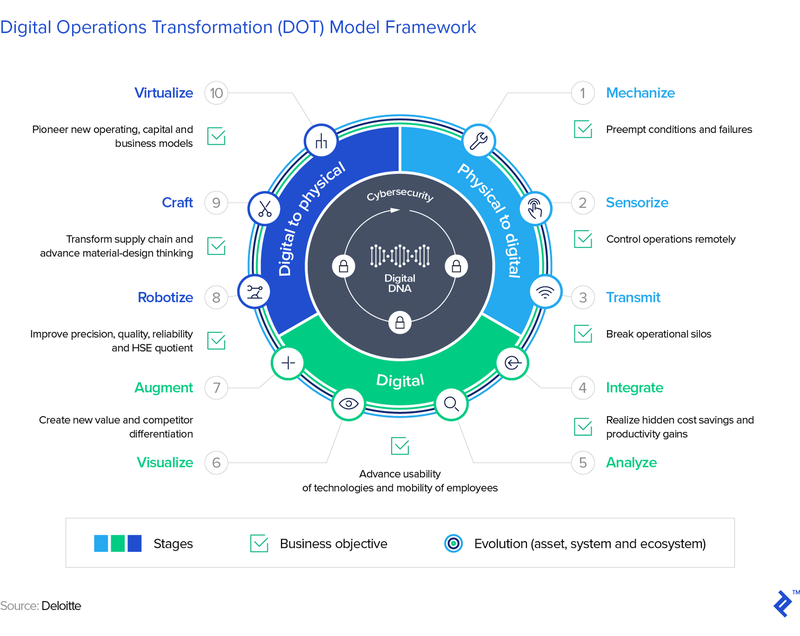 Before going into the details, a framework that I have seen frequently referenced when talking about digital strategy is the Deloitte Digital Operations Transformation (DOT) model. It is a continuous virtuous cycle of 10 milestones with cybersecurity and an organization’s digital DNA at the core. I often hear the phrase “go digital” used with reckless abandon, with little thought as to what actually needs to be changed. This framework often lets me frame for a client the specific areas of their value chain and how each can be impacted. As an example of how important digital strategies should be for oil and gas companies, Brazil’s Petrobras, currently going through a strategic reset, views digital as the key to add value and dramatically improve its operations. In my experience, a digital strategy, as any big strategic initiative, to be successful, needs to be sponsored and embraced by the senior leadership team and have dedicated investment and manpower that has the internal political power and support to challenge the status quo and drive the necessary changes in processes, infrastructure, and systems. But without a clear definition of what is actually meant by digital, a company is destined to struggle to connect digital strategy to its business. Digital should be viewed as the nearly instant, free, and flawless ability of a company to connect people, devices, and physical objects anywhere, anytime. Mining the data that these connections create greatly enhances the power of analytics, which leads directly to dramatically higher levels of automation, allowing for the emergence of brand-new business models. These are becoming more and more necessary, as digital is compressing margins by creating more value for customers than for firms. To achieve that, two key challenges and hence priorities that I see often are (a) ensuring data standardization and (b) fostering inter- and intra-company collaboration and sharing of information. The oil and gas industry has been collecting data for decades, but data thus far has been captured and analyzed primarily to improve health and safety and unlock marginal operational efficiencies. A different management approach is now needed, and its cornerstone should be to look at the entire lifecycle of an asset from design to operations, collecting and analyzing data at each step. Increased automation will also improve efficiency and precision and enhance safety while maintaining production levels at a fraction of the current cost. Below, I will analyze a few areas where the digitization can have the most impact, specifically in O&G supply chains. Advanced Analytics. Increases in computing power and software malleability mean that analytical models can be made quicker and more automated. Applications of this within oil and gas can produce complex models that can analyze bigger, more diverse data and deliver faster, more accurate results, allowing for companies to identify profitable opportunities and avoid unknown risks with real-time insights. Predictive Maintenance. This refers to the condition of equipment and determining when servicing should occur. It is a powerful tool for reducing costs and boosting operational efficiency, especially considering that with exploration venturing into remote areas and hostile environments, equipment inspection is becoming more difficult and expensive. Enhanced predictive maintenance can be achieved through harnessing Internet of Things connected devices and analytical software; GE is one such company following this trend. Wearables. Providing workers with on-demand, real-time push and pull information through mobility apps and wearable technology can fundamentally change how work will be performed. Employees with access to the right information at the right time can make more proactive and more accurate decisions, improving productivity and reducing costs. According to BP’s Technology Principal Blaine Tookey, mobility will be the key attribute of how successful wearables will be, in terms of merging into oil and gas workflows. One such example of wearable technology application is through biometric data tracking for personnel. 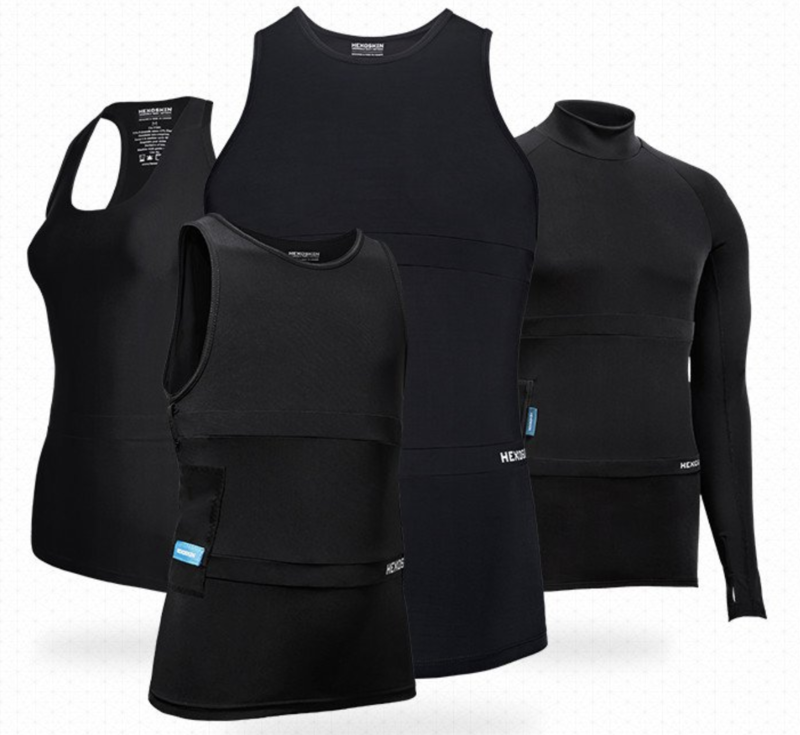 This product from Hexoskin can track and store an array of biometrics to monitor and manage employee performance. 3D Printing. In the not-so-distant future, 3D printers could transform a supply chain into one that is globally connected while being local and close to the customer. 3D printing creates a close relationship between design, engineering, and manufacturing, opening up the possibility of shifting some manufacturing closer to the customer base, optimizing and compressing supply chain operations by reducing inventory costs and minimizing delivery lead times. Blockchains/Smart Contracts. Smart contracts are computer programs built on blockchain technology for facilitating the negotiation and enforcement of agreements. They allow for real-time tracking of contractual obligations and responsibilities in addition to the flow of money around the supply chain, adding transparency throughout. More broadly, any confidential administrative paperwork can also be handled more efficiently and cheaply. It’s not just the wider banking industry that can gain advantages from blockchain applications. ING’s plan is to bring the industry together by hosting a distributed ledger platform with nodes run by and inside the participating banks to provide the necessary level of control and data protection. Core functionality will be co-created with all types of market participants; the diagram below demonstrates how efficiency can be increased by reducing the linear transaction paths that currently exist within the industry. Sellers get money faster and buyers get product sooner. Fraud, courier, demurrage, performance, operational, and credit risks are reduced. Operational costs can be reduced, e.g., staff, paper handling, couriers. Financing can be made more secure. The digitalization of the O&G supply chain won’t solely benefit O&G firms, but it has many potential material externalities to wider society. 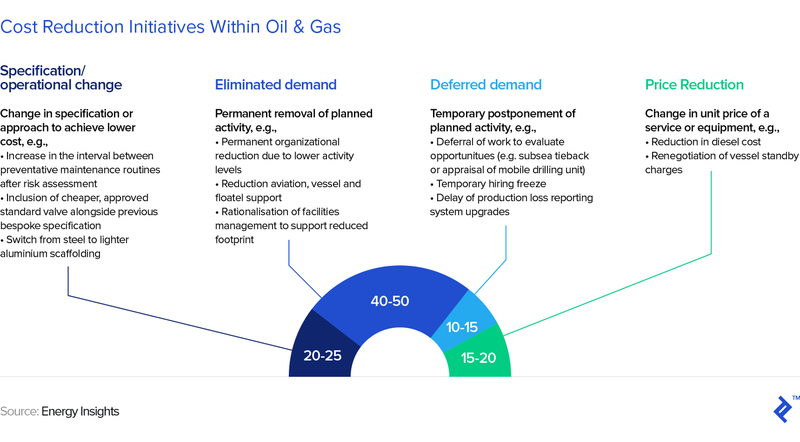 To be fully prepared for the drastic changes ahead, the oil and gas industry should consider adopting and transforming established ways of working. A key success factor will be the ability of the industry’s ecosystem to adopt digitalization rapidly across all aspects of the industry as well as internally within organizations. Each organization should ensure that digital is a top priority sponsored and embraced by the senior leadership team and embedded in a new company culture. Significant investment is needed in human capital and development programs to promote new, digital thinking and to drive a culture of innovation and technology adoption. A rigorous methodical approach will have to be put in place to develop and industrialize new capabilities, to reform the company’s data architecture, and to identify opportunities to deepen collaboration and understanding of sharing-economy platforms. What is upstream and downstream in oil and gas industry? Upstream operations represent the discovery and extraction of raw minerals. These deposits are then transported via the midstream operations to the final stage of downstream. In this step, minerals are refined into the final end-product, such as gasoline. During oil refining, 5% extra is gained through the process. 47% of oil is used for gasoline, 23%: diesel/heating oil, 10%: jet fuel, 4%: propane, and 3%: asphalt. The remaining 18% is for feedstock, which fuels consumer products like plastic. Gas is largely deployed in heating and general fuel consumption cases. Alberto has been instrumental in the underwriting, management, and sale of private equity deals in the energy sector totaling $1 billion. Before moving into private equity, he led teams in consulting engagements across nine countries and several sectors. He has an executive MBA from Wharton and has been a part of General Electric's foremost management development programs. He enjoys freelancing as it enables him to work with a diverse clientele.